Improve your current showering experience with the stylish and ultra-modern Roma Square Twin Shower set. Available in a gorgeous chrome finish, this twin shower set offers the best in functionality and designer style. The Roma Square Twin Shower set includes a square-shaped overhead rainfall showerhead and a handheld unit. It comes equipped with a high-grade 304 stainless steel hose measuring 1.5m in length. 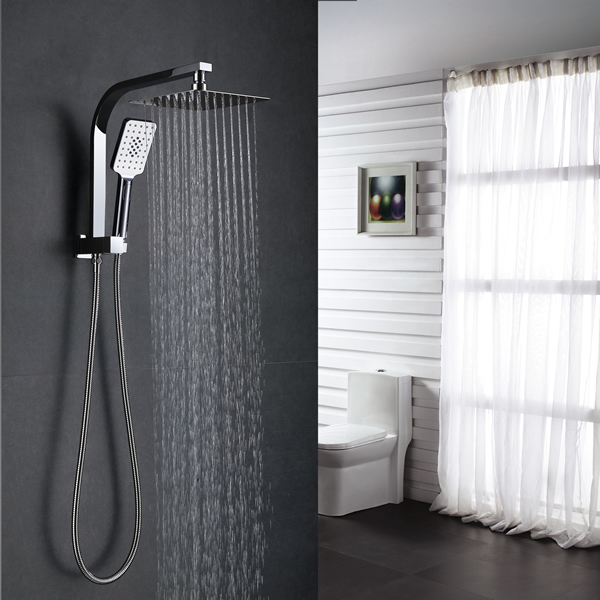 Enjoy an excellent blend of stylish looks and ease of use with this twin shower set. 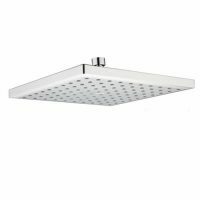 The shower heads feature 3 functions to offer you various types of showering experiences. 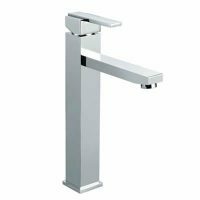 Thought has also been given to installation in the design of this product, and therefore, it has been designed to offer easy installation. It will easily fit onto existing shower outlets without the need for any additional drilling. The Roma Square Twin Shower set is a high-quality product which exhibits superior manufacturing. 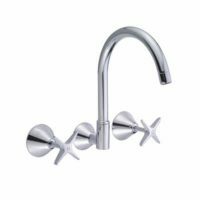 It is a WELS approved product with a water efficiency rating of 3 stars and it boasts an excellent water flow rate of 9L/min. For twin shower sets in Perth, that enhance your showering experience, you’ll find nothing better than the Roma Square Twin Shower set at Ross’s Discount Home Centre. Shop from us online to buy this twin shower set at an unbeatable price!